Looking for a lightweight stroller that you can use with your Chicco KeyFit Infant Car Seat? 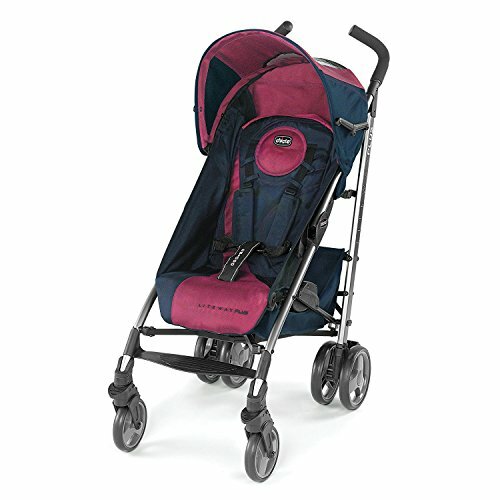 The Chicco 2-in-1 Lifeway Plus Stroller in Blackberry conveniently converts from a KeyFit Carrier to a Toddler Stroller for on-the-go parents. With a compact 3D fold and a carry handle included, the Lifeway Plus is designed for easy travel. For quick and easy transitions from the car to the stroller, the Lifeway Plus seat folds forward to accept the KeyFit with a simple, audible click that lets you know the carrier is secure. And when you no longer need to keep baby in the car seat, you'll love the adjustability of the stroller with five recline positions, adjustable leg support, a removable canopy and zip-off rear-panel for maximum comfort and convenience. Take your Chicco Lifeway Plus Stroller - Blackberry wherever you go. It is built for use from the time baby is born until baby is 50 pounds. Look online and in select stores for other exceptionally-engineered Chicco baby products.